Do you need practical advice to assist your business in using the accounting systems efficiently and powerfully? Schedule an introductory call today! Successful business owners continually examine their performance, cost drivers, and seek opportunities to enhance their efficiency and take advantage of opportunities arising from technology on hand, whether operational, customer or financial. Our experienced professionals are specifically trained in a range of accounting software systems and can offer timely and practical advice to assist your business in using these systems efficiently and powerfully. UFirst Bookkeepers is a Xero Partner and Certified Advisor, having undertaken training specific to the Xero system. For clients who are looking to integrate Xero into their current business management framework, we can advise on the different aspects of using Xero over other systems. For clients using Xero, we can provide guidance on front end transaction considerations within the system, such as quotes and invoices, purchase orders and billing, and contracts. We help clients properly utilise inventory and fixed assets tools. We ensure your software matches your business with project-based accounting, bank data feed automation and advanced tools. For businesses using the Quickbooks accounting software packages, engaging a Quickbooks ProAdvisor will help save a significant amount of time and money. UFirst Bookkeepers is a Quickbooks ProAdvisor. 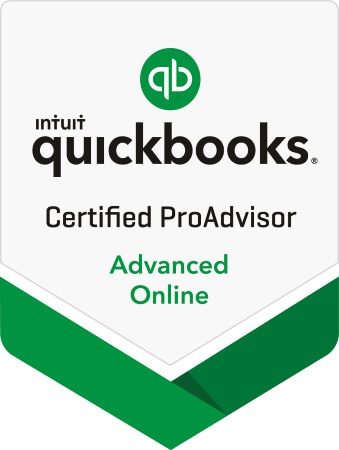 This status means our clients can be confident that our specific Quickbooks experience and training will help them use their Quickbooks software package more efficiently. You didn’t go into business to do paperwork. Whether you use Hubdoc, Receipt Bank or AutoEntry, we work with your preferred data extraction and automation software to provide you with a range of services from essential paperless data extraction to advanced automation of data collection and workflows. Whichever accounting software you use, we’ve got you covered for data extraction and automation. With Hubdoc, all your financial documents can be automatically imported and exported into data you can use. Data extracted through Hubdoc is seamlessly synced with your accounting software, like Xero or QuickBooks Online. Receipt Bank provides you with a range of services from essential paperless data extraction to advanced automation of data collection and workflows. AutoEntry automates data entry by accurately capturing all of your invoices, receipts, expenses and statements into your accounting solution. With 99.9% data extraction accuracy, this is technology you can trust. And, because business doesn’t wait, our clients receive 24/7 support.